I seem to be having a Tudor moment: a moment in which I am thinking about the place of Henry VIII in the development of Protestantism. My readers know I ADORE the BBC show Horrible Histories, generated out of the book series by Terry Deary. Among the many importantly repeated characters is Henry VIII, (played by my favourite member of the comedy troop, Ben Willbond. Sigh.) I always get to watch it extra during the summer months. Less homework, you know. Then, as a silver lining for a long summer in a foot cast (which goes with an even longer story, which I will tell you all about some other time) I got around to a couple of projects that needed some quiet time. I watched Simon Schama’s BBC video series A History of Great Britain (he’s another of my heartthrobs). An entire episode was devoted to Thomas Cromwell, who was, for a significant period, a chief advisor to King Henry VIII, although he was one of many during Henry’s long reign. As it happens, I was also just then reading Wolf Hall and Bring Up the Bodies, by Hilary Mantel, also about Thomas Cromwell. Mantel gives Cromwell as a Protestant of ardent personal belief, who masterfully supports and exploits Henry’s turn away from Rome. Although the wish to annul his marriage to Catherine of Aragon was a motivation, it can also be seen as a flashpoint. It highlighted the power of a foreign Pope over the English monarchy and succession, and came at a time when there were other protestant ideas swelling around Europe: to have bibles in the languages of the people which would allow all to access its message; a general disgust at the corruption of the old Catholic system, with some monks and nuns living in inappropriate luxury and abandon (not to mention priests, bishops, cardinals and Popes); the proliferation and sale of relics; and worst of all, the sale of indulgences. To have a laugh about it all, watch this video from HH: It’s Your Reign, Henry VIII in which past friends and advisors of Henry are brought in to reminisce about their old times together. 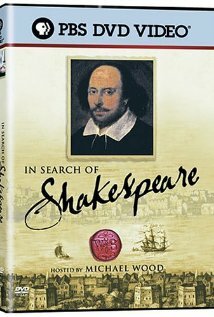 Quite incidentally, I also recently watched and loved the Michael Wood documentary from PBS In Search of Shakespeare, which also centred on the struggle between the “old faith” or Roman Catholicism and the “new”, which became Anglicanism, a struggle that continued to play out throughout the reigns of Henry’s children, Catholic Mary and Protestant Elizabeth, and thus very importantly over the career of Shakespeare as well. I had never EVER thought about Shakespeare in terms of his personal political position on faith, and Woods’ research was stunning and fascinating. Just think of Romeo and Juliet in terms of the quarrel over religion and maybe your world will be as rocked as mine was. 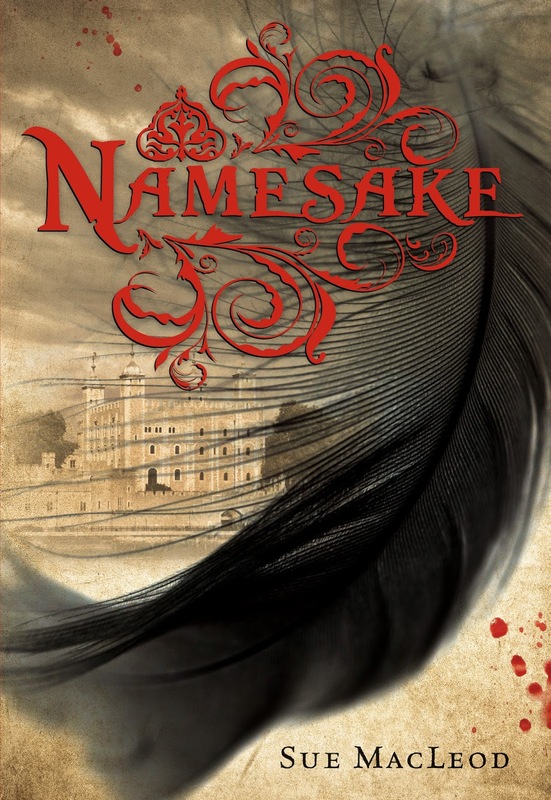 It was a stroke of good fortune that I received a copy of Namesake to review right when I was in the zone to appreciate it. The premise is effective and intriguing: a current high school student (like my kids), whose name is Jane Grey, somehow finds a small, illuminated, Book of Prayre among the library books she has taken out to prepare an AP History project on Lady Jane Grey. The two Janes are linked not only by name, but also by the need for a refuge from the difficulties of their lives. Lady Jane Grey is awaiting beheading in the Tower of London for treason. She had been pushed into occupying the English throne as a Protestant for nine days on the death of her cousin, Henry VIII’s sickly young son Edward VI, until the Privy Council reinstated the more proper claim of his sister, the Catholic Mary. Modern Jane Grey lives with her alcoholic and unpredictable single mother, a university professor, who is going through the painful end of yet another romance. When each of the Janes turns to the prayer book for peace, they connect through time! One of the main themes of Namesake is the struggle between Mary with her Catholic supporters and the mass of people already devoted to a more Protestant practice. Lady Jane follows the new faith. She maintains her faith loyally, and although she acquits herself well in discussion with a priest sent by Mary to bring her back to Catholicism, she declines to revert and thereby save her own life, choosing an honest and honourable death. Pretty rich for a YA book, which is ostensibly about teen-age troubles. There is simply nothing I love more than offering some real, well-researched, history to kids, through a vehicle that engages them. Not at every minute in my life could I have felt as comfortable with the historical reality in this book, so how very fortunate it came to me just now. I loved it, and I will be recommending this book anywhere I can, to any kids, teachers and libraries I encounter.